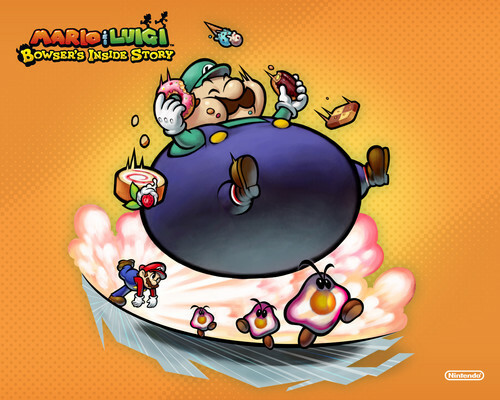 Mario and Luigi Bowser inside story. . HD Wallpaper and background images in the Super Mario club tagged: mario super mario brothers wallpaper nintendo. This Super Mario wallpaper contains drehscheibe and plattenspieler. There might also be roulette-rad, rad, roulette rad, kompakt-disk, cd, cd-, kompaktdisk, and compact disc.